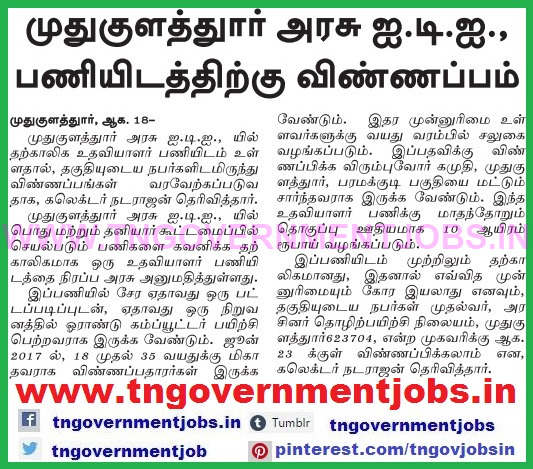 Applications are invited for Office Assistant Post in Govt ITI Mudukulathur, Ramanthapuram District, Tamil Nadu. The above post is purely on temporary basis appointment. 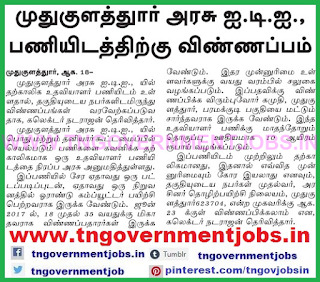 Eligible candidates : Should be the resident of Kamuthi, Paramakudi, Mudukulathur area. Application envelope must be superscribed as "Post Applied for ............."